Fri., Jan. 21, 2011, 12:07 p.m.
OLYMPIA — With a photo of Bob McCaslin propped up near his old desk and his family in the gallery, the Washington state Senate’s most senior member was praised for his ability to make his colleagues laugh with a well-timed joke and keep them on track with encyclopedic knowledge of the rules. McCaslin, whose 30 years made him the most senior member of the Senate until he resigned this month for health reason, was described by Republicans and Democrats alike as a mentor to new legislators. In a tribute that lasted for nearly an hour, members on both sides of the aisle said his humor and historical knowledge may be needed more than ever this year. 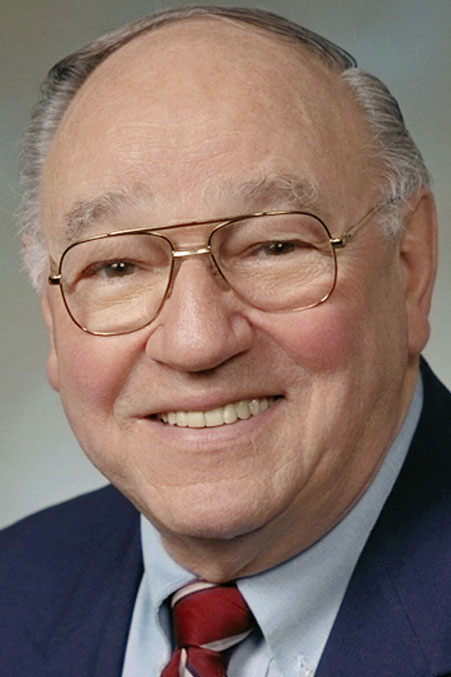 “We’re going to miss Bob McCaslin’s institutional memory as we deal with this crisis,” Sen. Mark Schoesler, R-Ritzville, said, noting the Spokane Valley veteran was the only remaining member of the Senate who served in the last big economic downturn of 1981-82. McCaslin who is 84, was hospitalized last week for circulatory problems and had a leg amputated this week. But he’s “doing better each day”, his son Bob, who was in the gallery for the tribute, said. Some senators joked about his reputation as the Republican caucus’s “most eligible bachelor”, who as he got older didn’t mind being set up on a date as long as it was with someone who could drive at night. “We looked for interns who had really nice grandmothers with a driver’s license,” Schoesler joked. He had a reputation of killing bills that came to the Senate from the House, and Senate bills from Democratic members. Published: Jan. 21, 2011, 12:07 p.m.